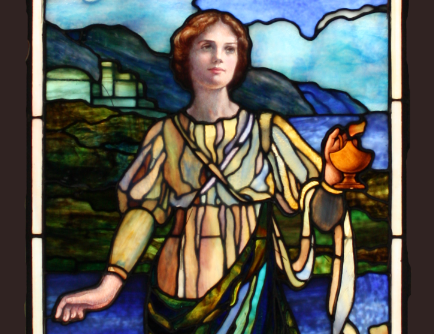 Early American opalescent plated stained glass windows completely restored and re-leaded, along with restoring wood frames and new protection glass at Lafayette Presbyterian Church in Brooklyn, NY. A brand new bronze frame was fabricated to support and vent the stained glass. 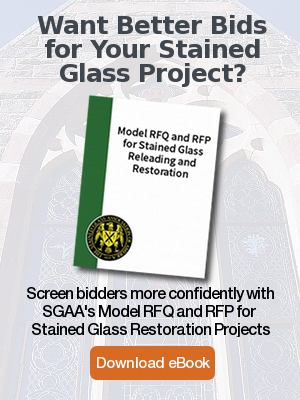 These beautiful leaded-glass windows are being restored through the generosity of a single donor. 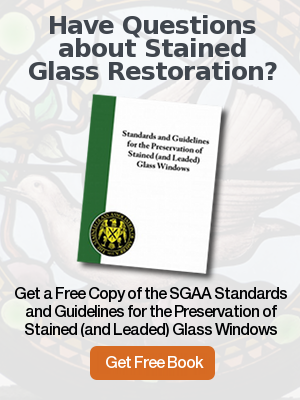 Stained glass restoration with Rohlf’s Stained and Leaded Glass Studio preserves the beauty, value and inspiration of stained glass. UPDATE: The fourth phase has been installed, and the fifth phase has been brought back to the studio to begin restoration. 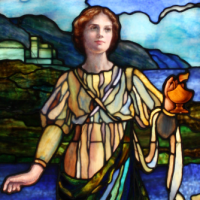 The fifth phase consists of two Tiffany stained glass windows.